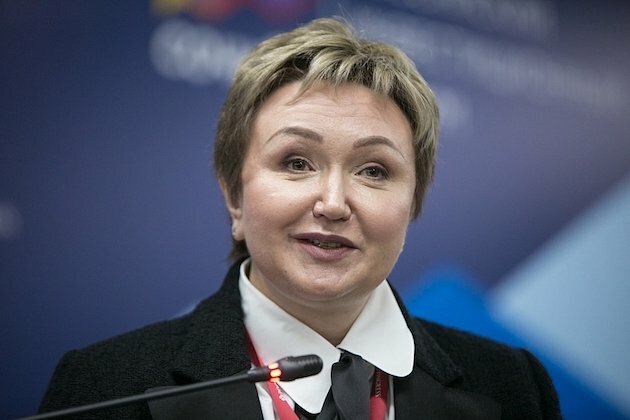 Natalia Fileva, 55, one of Russia's richest women and the current Chairwoman of S7 Group has died in a plane crash in Germany, the company’s press service reported. She was aboard a single-engine, six-seat Epic LT aircraft that crashed and burned in a field as it approached the small airport at Egelsbach, about 10 kilometers south of Frankfurt, at about 3:30 p.m local time. (1330 GMT). The cause of the accident was still unclear. "On March 31, 2019, during the landing of a private Epic-LT plane at the Egelsbach Airport (Frankfurt-am-Main), S7 Airlines shareholder Natalia Valerievna Fileva was killed. She was 55. So far, the circumstances of the tragedy are unknown," the company's press service said. According to the company, the international commission will investigate the circumstances of the death of Fileva along with the Moscow-based Interstate Aviation Committee (IAC). "The investigation of the incident will be conducted by an international commission in the prescribed manner with the participation of the Russian aviation authorities," the company said. "The team of the S7 Group expresses its deepest condolences to the family and friends. The company’s employees will always remember Natalia Valeryevna as a bright, caring leader and a wonderful person. This is an irreparable loss for the whole team," S7 added. Fileva was listed in 2018 by the Russian edition of Forbes magazine as the fourth richest woman in Russia with an estimated fortune of US$ 600 million. Her husband was S7 CEO Vladislav Filev. Based at Moscow's Domodedovo Airport, S7 is Russia's second-largest airline after Aeroflot, flying to 150 destinations in 35 countries - using 56 Airbus planes and 23 aircraft from Boeing.